Acetylcholine (ACh) is one of the predominant neurotransmitters in the brain. The majority of cholinergic cells are found in the medial septal nucleus, the basal forebrain, the striatum, and the brainstem (Struble et al. 1986). The major projection areas include cortex, hippocampus, striatum, substantia nigra, and medial habenula (Butcher 1995; Woolf et al. 1984). ACh is involved in the regulation of cortical arousal (Semba 1991), attention (Murphy and Sillito 1991), and sleep-wake cycles (Hobson 1990). Thus, the actions of ACh are manifold. 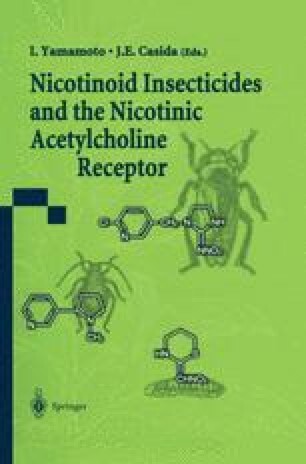 The actions of ACh are mediated by two different types of receptors: the ionotropic nicotinic type and the metabotropic muscarinic type. Each of these classes of ACh receptor (AChR) has multiple subtypes with unique structural and functional characteristics, and thus ACh released from a nerve terminal may contribute to a wide variety of brain functions by activating different intracellular pathways depending on the distribution of the receptor types.